Once again, downtown Fargo is getting a face-lift. 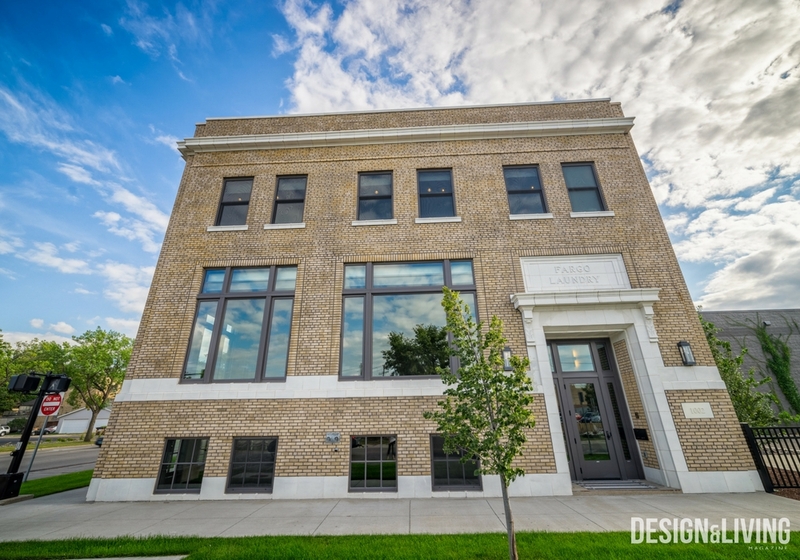 The Kilbourne group is revitalizing the Loretta Building at 210 Broadway N. They hope to create a modern office space while still honoring the history behind the building. Design and Living was able to tour the building even though it’s still a couple of months away from completion. So come inside the newest downtown Fargo creation with us. Before the remodel the Loretta Building only had 9,000 usable square feet but now is being renovated to feature over 46,000 square feet. Natural light was very important to the designers when planning the building. That’s why there are windows around every corner and a skylight that will go all the way down to the second floor. They have evn decided that the bathrooms on each floor will have some sort of window to give the normally windowless area some natural light. The Quartz supplier they are using has said his company will be using one of a kind slabs for the bathroom counter tops and some built in desk spaces. This historic building goes back to 1909 when it was built by former mayor, Peter Elliott, and named after one of his daughters. A furniture store was the first occupant of the building. Throughout its history, it has housed art galleries, offices, bars and much more. The rooftop allows all tenants of the building to get a little sunlight and fresh air while giving them a great view of downtown. The rooftop addition is comprised of weathering steel, zinc and glass. 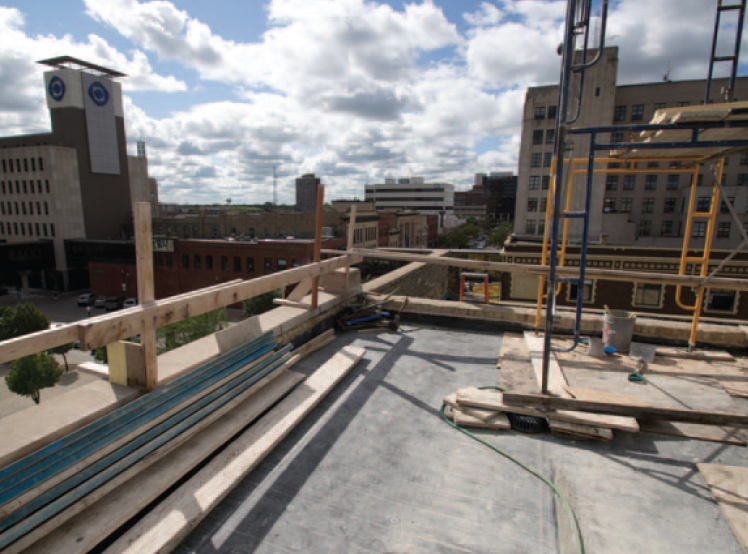 The roof of the Loretta Building offers a great view of downtown Fargo. This metal fire door protects the lower floors from fires if one breaks out on the upper floors. However, every other day, the door will be open to create a skylight for the second, third and fourth levels. Even the basement is being remodeled to allow in natural light. According to social media and marketing director, Tammy Swift, the Kilbourne Group hopes to put a diner in the basement. The Loretta Building is located at 208 Broadway N in downtown Fargo. For more info and to inquire about leasing call 701-237-2279 or go to www.kilbournegroup.com.